I like feeling bosky. No not that unshaven feeling where you have the scruffy beard of a sailor at sea. That feeling when you are aware of the changing seasons because of deciduous shrubs and trees. Landscape shrubs and trees are wonderful at marking the seasons of our lives. You might not realize it but deep down you like feeling bosky too. Plants help people celebrate the changing of the seasons. In the midwest and the north we have very distinct and identifiable changes to all four seasons every year. For some they face it, for others they embrace it. Deciduous plants embrace the change of seasons moving from dormancy, to spring and summer blooming, to fall color and back to dormancy again. Fortunately dormancy is a reversible condition. Deciduous shrubs and trees both face it and embrace it and we are the beneficiaries of the gift of seasonal change that they exhibit. For me nothing says summer like the blooms of a Hydrangea. People who pay it forward respond to a person’s kindness to oneself by being kind to someone else. That is how we pay it forward. In essence plants are natural givers too, they pay it forward. Plants if given the benefit of a good place to root, a few nutrients, sunshine and water, they in turn provide oxygen, mood enhancing support, color, food, seasonal change, shade, wind block, protection, aroma, medication, flavor, flowers, scent, air cooling, nature therapy, privacy, wildlife shelter, canopy, ground cover, erosion control, pollinator nectar, building materials and much more. Trees, shrubs, flowers, grasses, truly know the meaning of paying it forward. 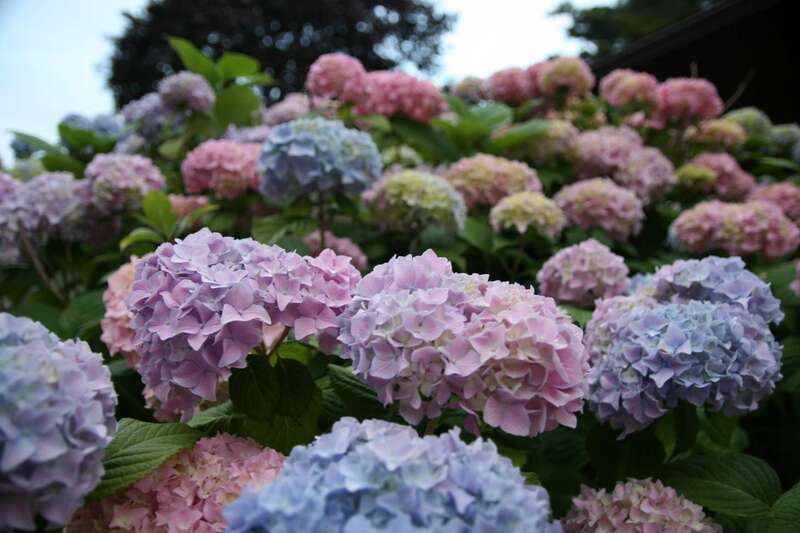 And flowering shrubs from Hydrangeas to Rhododendrons are seeing a resurgence in interest after years of herbaceous perennial dominance in design because of their sequence of bloom in the garden. Flowering shrubs can be low effort and big reward hard working plants for the homeowner landscape. 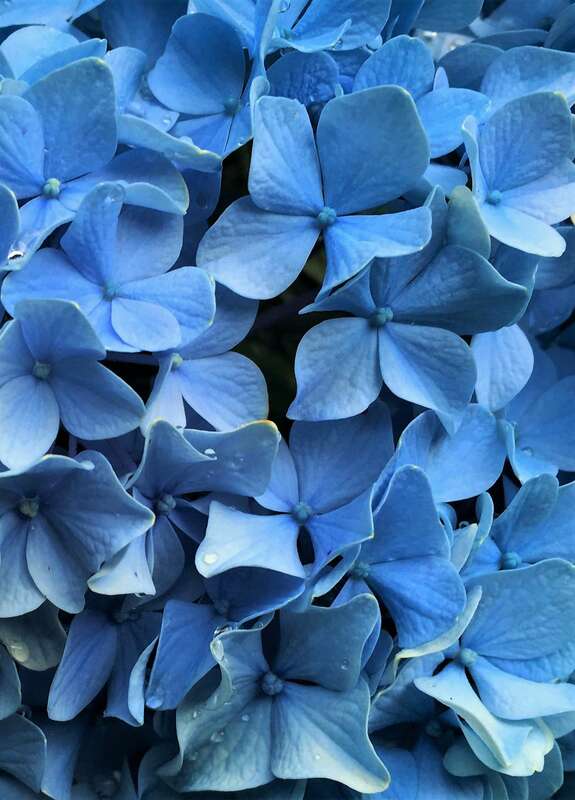 When a rhododendron blooms it can be rewarding, your hydrangeas can make you a hero and your lilacs can be uplifting. A vibrant viburnum in bloom doesn’t ask much in the way of effort from its owner but every year delivers a knockout show. Landscape own-root shrub roses in a sunny spot make the world a brighter place in summer and fall and give far more than they receive with season long color. 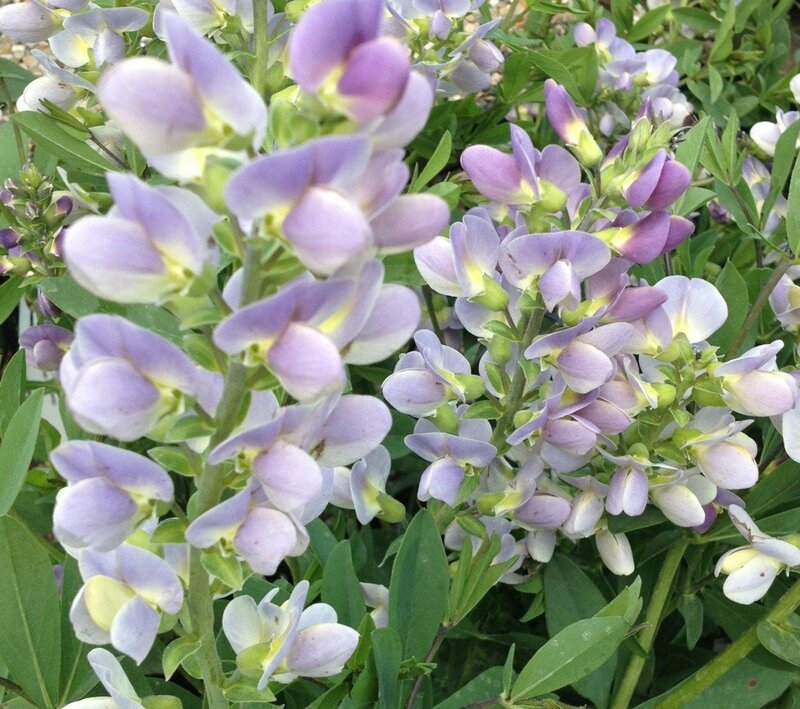 Baptisia one of my favorite perennials in the landscape! My favorite flowering annuals for that summer “shrub-like” size would be Cleome, Amaranthus, Castor Bean, Nicotiana and Verbena bonariensis.